· Seamless switching ensures zero delay, no picture loss and abosolute synchronization during the transitions. 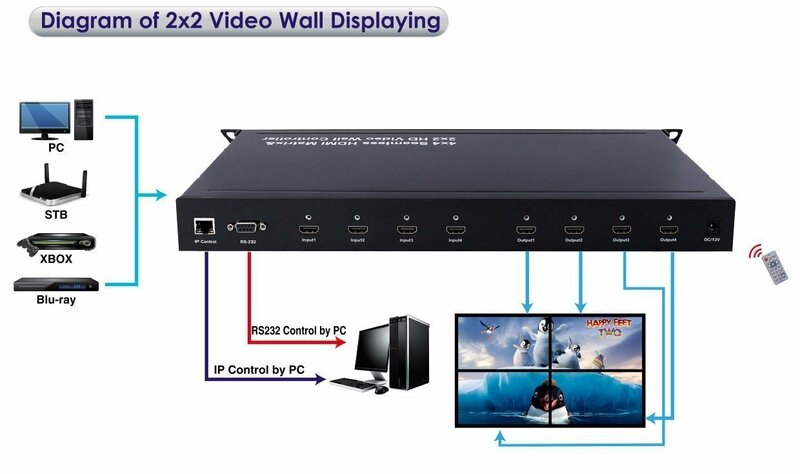 · Support 2x2 video wall mode. In that mode, the four inputs are being shown on one single display. 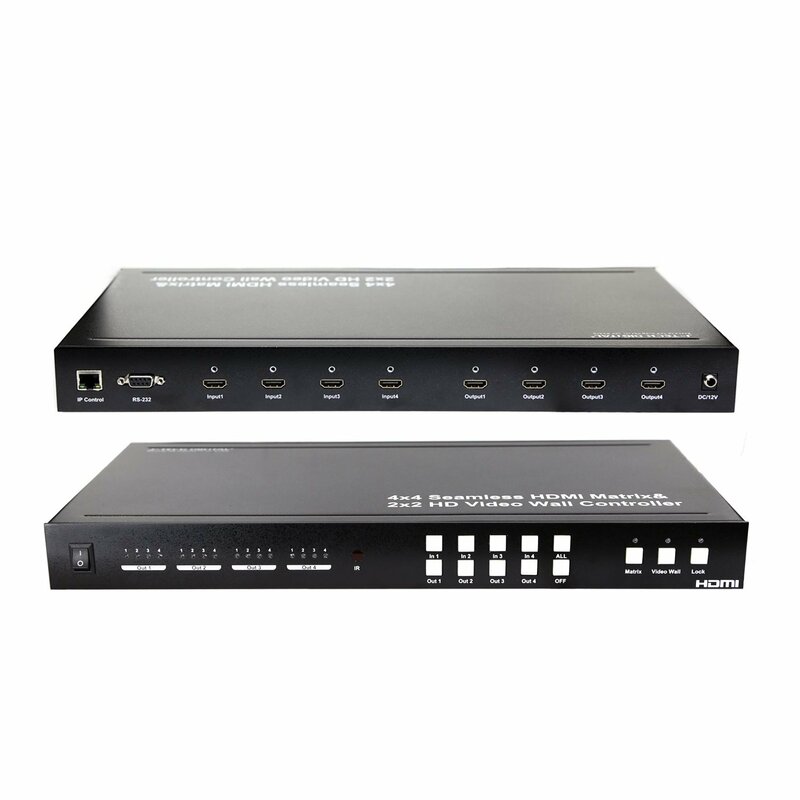 · Support web Interface, RS232, IR remote control.